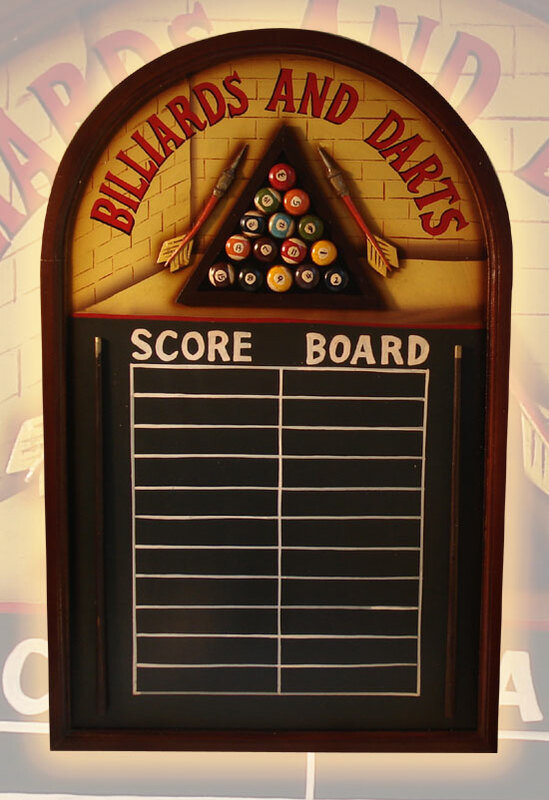 Want the most fashionable score keeping chalkboard for your game room? 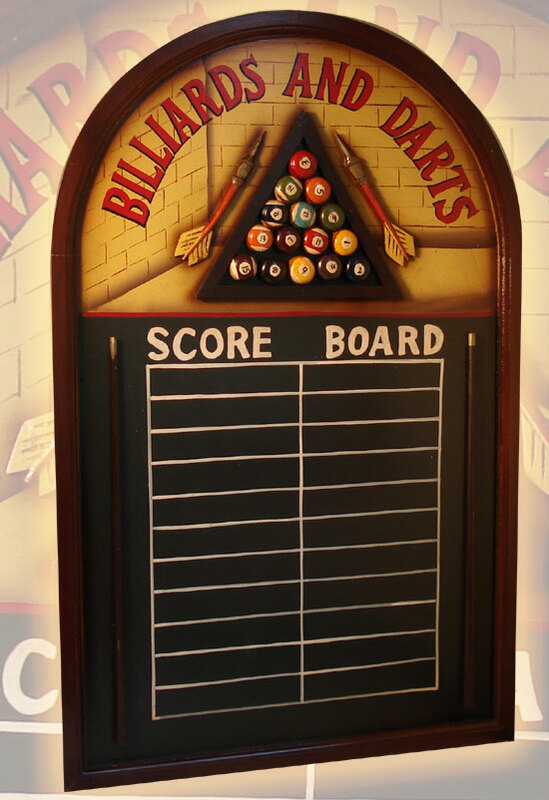 This beautifully detailed, patina finished 3-D scoreboard will help you keep count for either of your two favorite and most popular game room games! Vintage looking resin and wood pool cues, darts and a racked ball set give this conversation piece great dimension. Includes 3 pieces of colored chalk. DImensions: H-37.5" x W-23.5" x D-1"